Evening guys, happy hump day all... its down hill to the weekend! Wahoo! 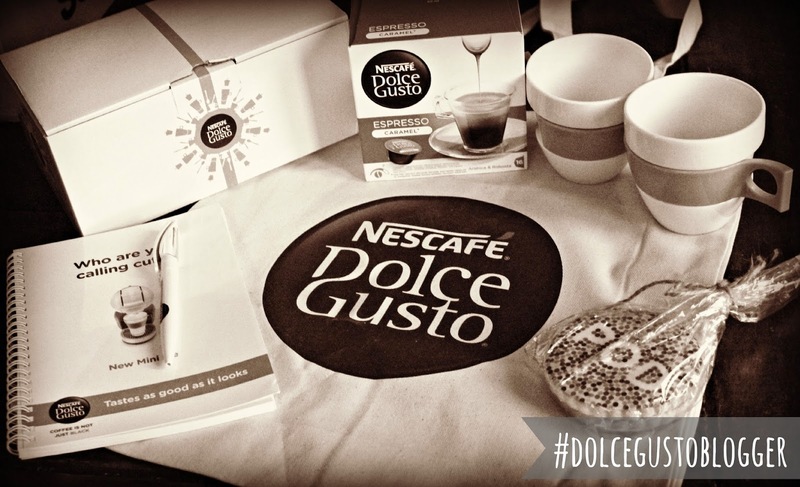 I have some exciting news for you all, I'm now an official Nescafè Dolce Gusto Blogger! This is something that I'm really excited about! I love to go out for coffee and have a good old natter with my friends and now I get to enjoy this little luxury in our home! Thank you Nescafè and the lovely Gemma! I am looking forward to sharing our thoughts with you but in the mean time head over to Nescafè Dolce Gusto's UK Facebook page for more info.